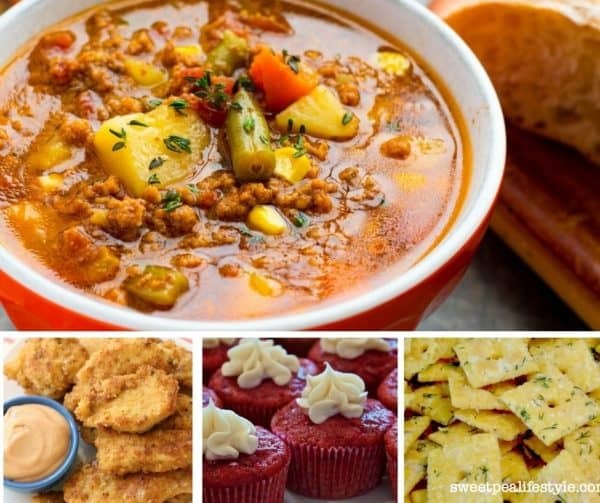 Welcome to Foodie Friday Link Party 74! I hope you’re all staying warm in the frigid temps out there. I know much of the country is under a huge blanket of snow. We have some toasty warm recipes this week including a couple of great dinner ideas, one-of-a-kind snacks, and furthermore, a scrumptious dessert that’s full of healthy ingredients. First of all, soup is the perfect dinner this time of year. The snow is falling, many people are stranded, temperatures are freezing; although, kids are thrilled to be home for a snow day. 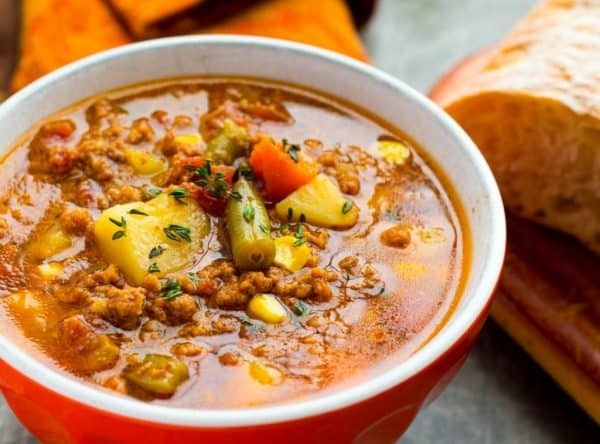 Of course, a nice piping hot bowl of hearty soup is in order and this recipe will hit the spot. In addition, you’ll get your veggies for the day–all in less than 20 minutes with the Instant Pot. However, don’t fear, if you don’t have an Instant Pot, there are stovetop and slow cooker directions with this dinner recipe, as well. Without a doubt, chicken strips are another great way to warm up during the winter months. And we all know that kids love chicken strips. 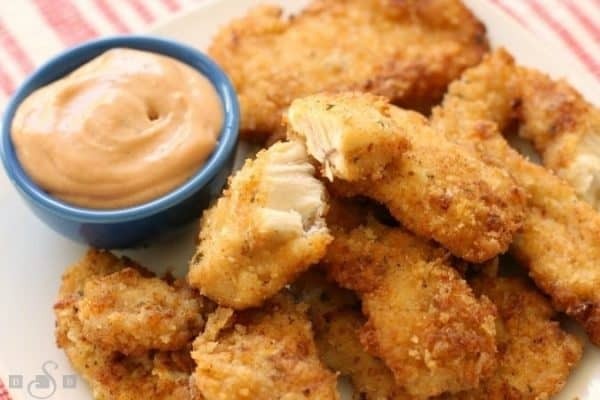 The folks over at Butter With A Side Of Bread offer some great tips on making the very best chicken strips, how to cut the chicken, and what to pair with the meal. As a result, you won’t want to miss this recipe. 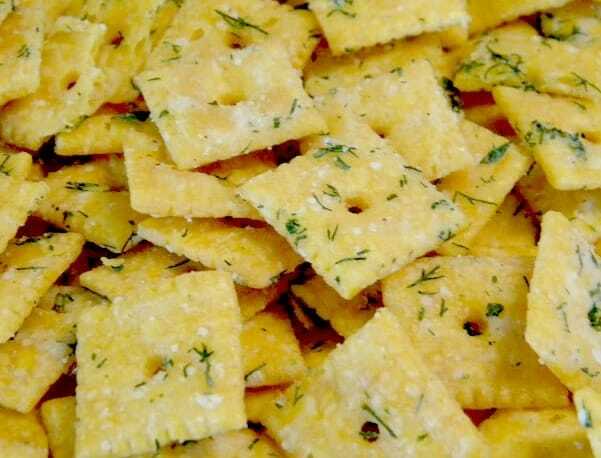 I can’t think of a better snack than these Dilly Ranch Cheez Its. You know these are bursting with flavor because of the ranch dressing and dill seasoning. For that reason, these are a mouthwatering snack that everyone will fall in love with. They are great to eat at school for a snack, take to work, or just munch on at home. I can promise one thing, they will be hard to put down. Marilyn’s beet lemon cupcakes are going to be a recipe that you make over and over again because they are so chocked full of flavor and goodness. It’s tough to find good healthy recipes for dessert that aren’t packed with ingredients you can’t even pronounce. Marilyn’s recipe features natural ingredients; therefore, you know what your family is eating. They are the perfect dessert for any occasion. Be sure to share the love and Pin and/or comment on recipes because that helps all of us get the word out about great recipes. HI Tamy! Thank you so much. I am always glad to have you here! 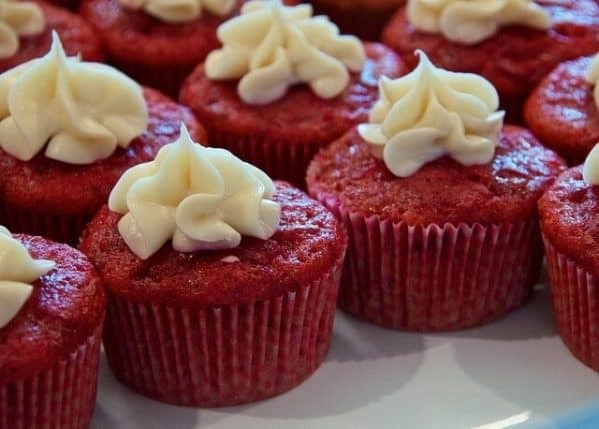 Thank you for featuring my beet cupcakes! Thank you for another delicious party! I hope your weather doesn’t get too bad. It really is winter in Michigan! Enjoy your week. Hi Marilyn! You’re welcome. They look so good. It’s chilly down here, but not too bad. Stay warm up there! thansks for hosting so many delicious recipes. Thanks for hosting! I love looking at all the delicious recipes. Hi Kristina! Thanks so much and thanks for coming by! Hi Amy! You’re welcome! Thanks for stopping by to visit! Thanks for hosting! Stay warm this week! Hi Amy! You’re welcome. Thank you and hope you do, too! It’s freezing everywhere!